In the countdown to Christmas, Bournemouth’s coastal businesses have launched the exciting ‘Express your Inner Elfie’ Interactive Christmas Campaign. Until the 6th January 2018, the state of the art ‘Go Bournemouth Coast’ augmented reality app will bring twelve virtual elves to local businesses on the coast. Shoppers will need to take ‘elfie’s’ (or selfies) using the app before uploading them to social media to be in with a chance of winning a host of festive prizes. A fun and interactive activity, participants can download the free ‘Go Bournemouth Coast’ app on their smartphone or Android devices. 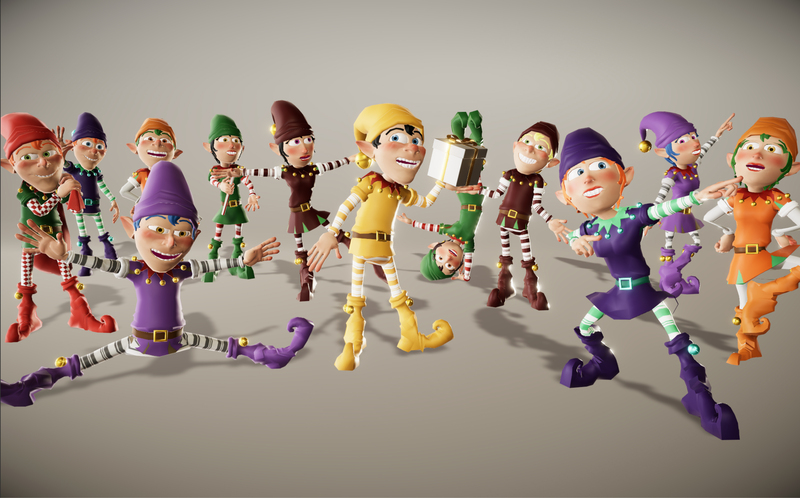 They will then need to get exploring to find and unlock the ‘twelve elves of Christmas’. To enter the prize competition, participants must take selfies with the elves before uploading them onto Facebook or Twitter using the hashtag #TakeAnElfie. They will then be entered in a draw to win an array of prizes, suitable for people of all ages including two family tickets to the Oceanarium, a Happy Hopper space hopper from Flaming Nora’s in Southbourne, a family dinner for 4 at the Grill Shack & Tiki Bar, and dinner for 2 at the Langtry Manor Hotel. There’s also a bottle of sparkling wine at the Wight Bear, a Nellie Mimosa candle, plus a free haircut and cut-throat shave at Mister Barber’s to be won.